Do you know how to know from where is the app being *downloaded*? Please stop putting . as a new line, just simply copy and paste this <br> to enter a new line/ It makes your post look cleaner. 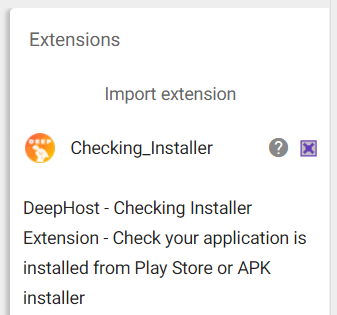 LIKE THE EXTENSION BTW, KEEP UP THE GREAT WORK! Very nice. I didn’t know it was possible to be verify. This was the only way I found to see which way the user installed the app.